I have those seats. I can offer some pics of the mounts I built to help you out if you'd like. I used the rails from my seats and brackets of aluminum. I appreciate your help yes please send me a pic if you can: dmedeiros1974@gmail.com or you can post on the thread to help others as well. How are the seats holding up? Do you like them? You can't see everything in these limited pictures, but you get the idea. The angled aluminum was from Ottawa Fasteners, as was any hardware. Assembly order was very specific since the bolts going into the seats were very close to the hardware for the sliders, but it all worked out, zero problem with the mounts. I have full range of motion in the slider. Last edited by everlast; 06-05-2010 at 12:10 PM. Oh, and if I were to do it again, I'd make an effort to get the seat as low as possible by making the bolt holes as close to "top" of the side of the bracket, rather than in the middle. That would give me an extra cm. Every bit helps when you wear a helmet in the car. Thanks for sharing all that good info. Soon as am done with the dash and doors am doing the seats. Holy crap Denny.. your just putting along quite well and with the help from Danny it seems to just rocket away lol. Looking good man. 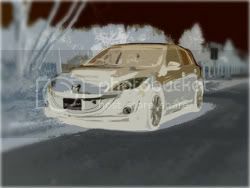 Thanks Steve...progress is being made but I feel like am in stand still with the little time I have to work on it doe. When Danny comes over things get done very very quickly I'm lucky to have him help me hes far away and has limited time to work on his E30 as well!! hand brake trim just to see if it has enough color..
LOL... I will only have my broken back to restore after I attack the undercoat..
My father in law just bought an 335i yesterday one more bimmer in the family!! how long is he in town for? 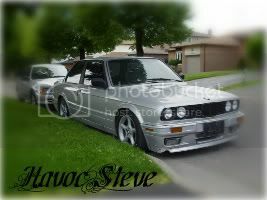 Man, when my GF moves back to Ottawa for Uni, I'll have to pop by and see this baby, maybe even get my hands dirty lol. Everytime you post pictures, I get excited ahahah..